TeaSets are available everywhere. But the challenge is to chose the right one. The most common material available is Porcelain, Ceramic, or Earthen. But these do not work as well as the Bone China ones. For the perfect cup of Tea, you need a Bone China TeaSet with a Sugar pot and Milk pot and average sized Teacups – not too small, not too large. Also ensure that the Teapot of the TeaSet you have chosen is just appropriate for the number of cups of Tea you will make at a time. 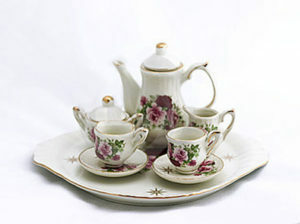 E.g., if for two people, buy a TeaSet for 4, not 6. Otherwise the Teapot will be too big, and when you make only 2 cups, your Tea will get cold. This only for Winters to keep your Tea hot in the Teapot. Or keep the second cup hot while you are enjoying the first. The pleasure of sipping a hot cup of Tea on a Winter afternoon or evening ! A must to serve separate Tea. An ornamental Tea Strainer also adds a lot of oomph to the Tray. A Medium sized Tray which can accommodate the TeaSet with 2-4 TeaCups. Should be of sturdy and stable enough to carry the weight of the Crockery. For an Indian, ‘types of Teas’ is a misnomer, but not so for a Britisher. Though India is a Tea drinking nation, yet we aren’t Connoisseurs or even Masters of Tea. 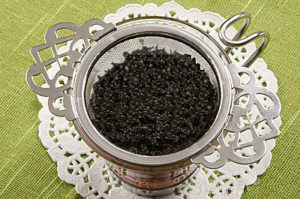 Tea can be Black, Green, Yellow or White. In Black, Darjeeling, Assam, Orange Pekoe, Earl Grey, Muscatel, Flavoured, Blended or various other types. One needs to discover one’s taste and palate, and choose what one likes or responds to. Each one of the above Teas has a different brewing time. So once you have chosen your Tea, you need to ensure you brew it only for that prescribed time for the Perfect Cup. If Darjeeling is brewed a wee bit longer, it gets bitter on the tongue, and if under-brewed, will be bland and tasteless. Each type of tea has an ideal Brewing Time. After choosing the right Tea, it is essential to store it in a way that it retains it’s flavour and aroma over a period of time. Otherwise it will become bland and aroma-less, and it will lose it’s USP. The right choice is between Wooden and Tin boxes which are air tight. Plastic, Glass or any other will not do the needful for Tea leaves. Nothing better than a Tin box which can be labelled. To enjoy the Desi Indian Masala Chai ! Inspite of the fact that the taste, style and flavour of Tea is best enjoyed when brewed separately without Milk and Sugar, yet, the taste and flavour of the Desi Indian Masala Chai is unbeatable for every Indian. And this is best enjoyed in Cutting Chai glasses with your fingers wrapped around the tiny glasses ! Every Tea lover deserves at least one good Book on Tea in his/her Bookshelf ! To show one’s love and passion for Tea. This entry was posted in Food, Lifestyle and tagged Culture, Food, Health, Lifestyle. Bookmark the permalink.